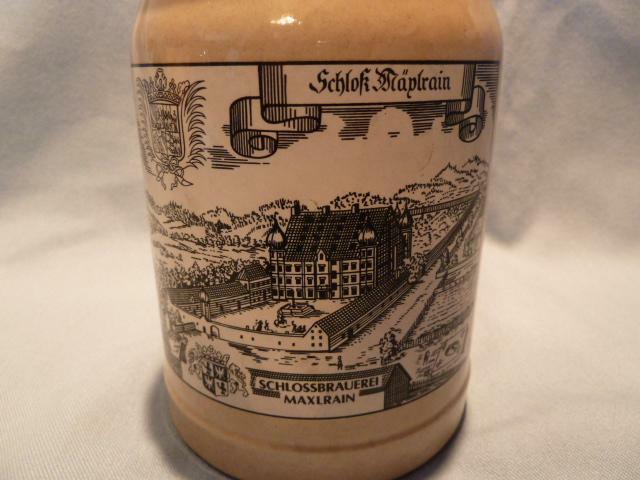 Vintage German Schlossbrauerei Maxlrain, Bad Aibling 0.5L Lidded Beer Stein is in excellent condition and looks like it has never been used. 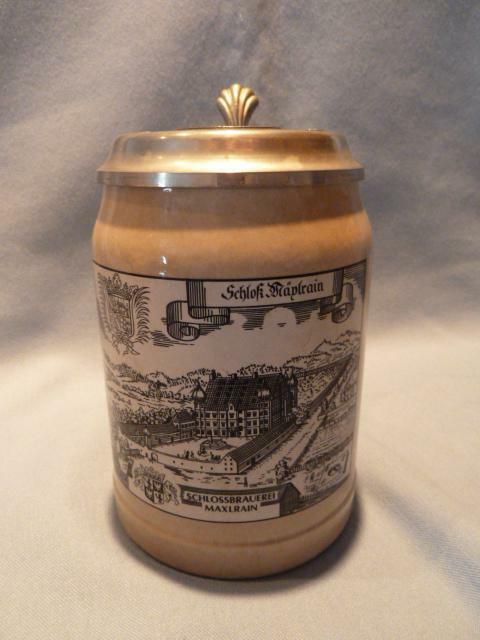 The body of the stein is done in shiny natural earthenware color and features black and white likeness of the Maxlrain Brewery / Bad Aibling, Germany. 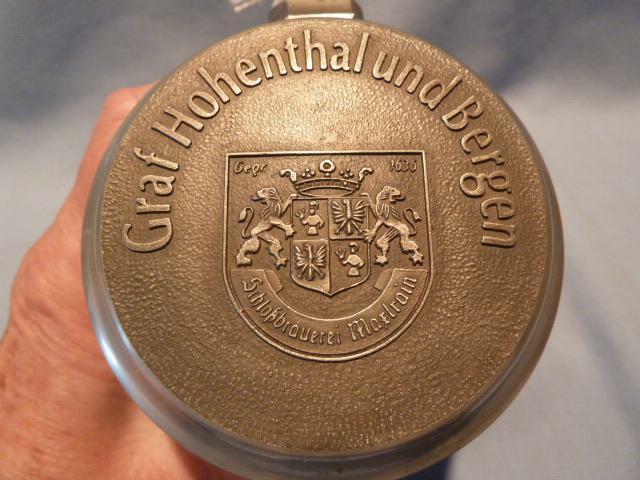 The pewter lid on the stein has a raised shield type emblem on it with a lion on each side of the shield and the words Graf Hohenthalund Bergen above the emblem. 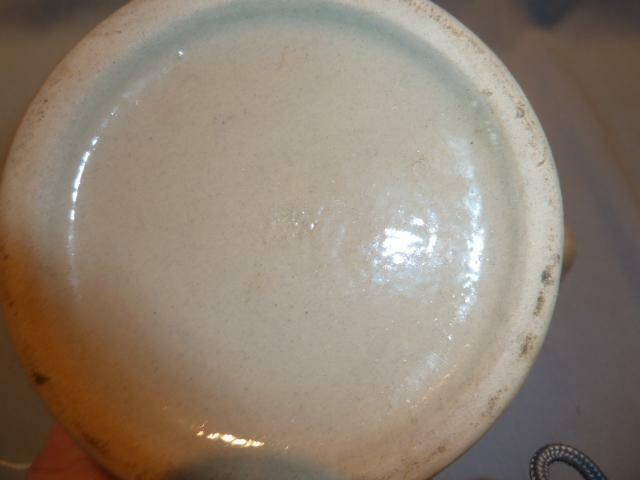 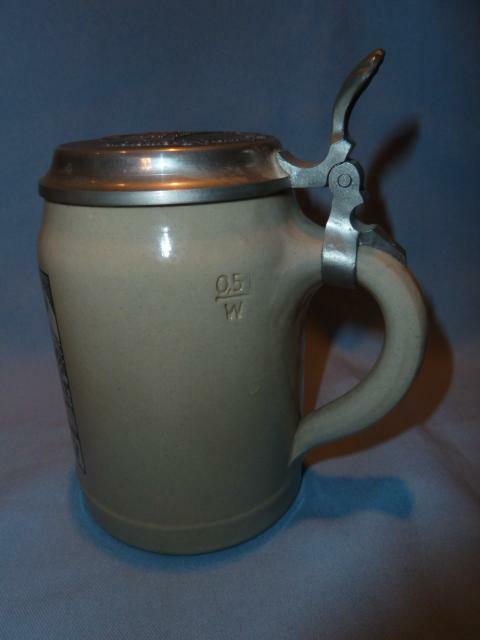 Stein measures 6 1/12 inches tall and 5 1/2 inches wide including the handle. 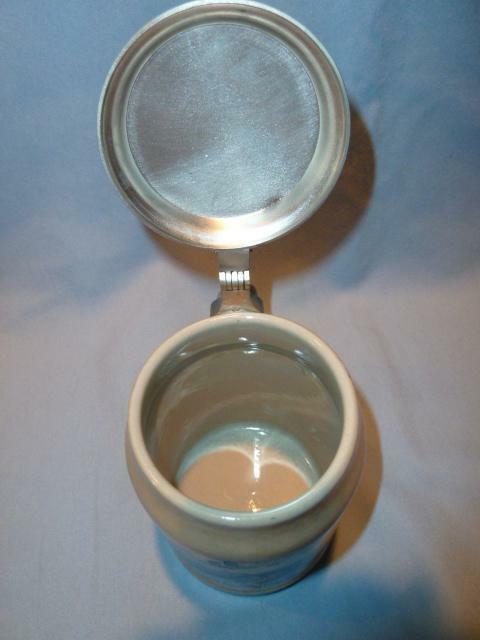 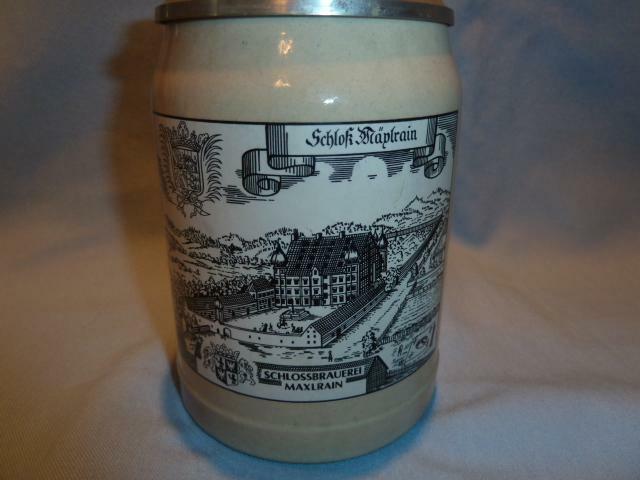 Items Similar To "VINTAGE GERMAN SCHLOSSBRAUEREI MAXLRAIN LIDDED BEER STEIN "